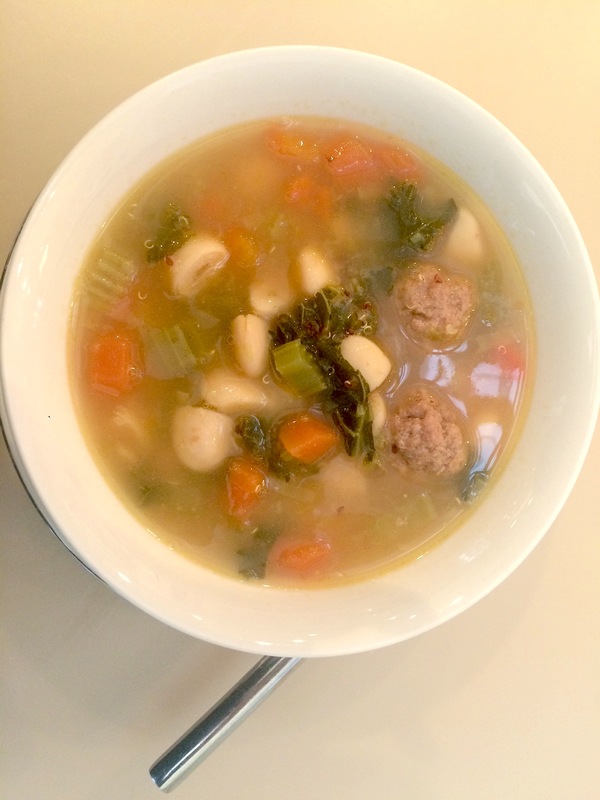 This vegetable soup is one of my favourite soups, very easy to make and so nutritious for our bodies. It has all the ingredients to strengthen our immune system. Cut all the vegetables in small pieces before cooking them. In a large casserole, heat the olive oil and gently sauté leeks, onions, carrots, courgette and celery for 5 minutes. Then add the water and salt to taste. Then immediately add potatoes and cook for 25 minutes approximately. After add the green beans, tomatoes and white beans and cook for another 10 minutes. If you want, to make it even richer, you can add small meat balls at the same time as when you are adding green beans, tomatoes and white beans.